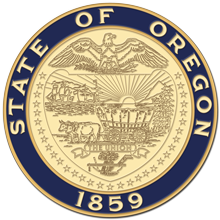 Salem, OR—The inaugural ceremony for Governor Kate Brown will be held on Monday, January 14 at 1:45 p.m. in the House of Representatives in the Oregon State Capitol. After taking the oath of office, Governor Brown will deliver her inaugural address, which also serves as the State of the State address. "For years we have struggled to overcome the impacts of recession on our state revenue, to build up adequate funding for our education system, and stabilize access to healthcare," Governor Brown said. "The time is now. Our future is in front of us. We have to turn the corner and make it a reality. Together we can build a better Oregon." The inaugural address will be live streamed by Legislative Media . Following the inaugural ceremony, Governor Brown will hold a press conference in the Governor's Ceremonial Room. Members of the media are welcome to attend.